Qatar Is Paying Money to Keep the DC Metro Open Later for Capitals Fans...Huh? When Washington, DC's local government is not considering raising taxes on Uber and Lyft drivers to save the Metro system, it looks like they are courting wealthy Middle Eastern countries to help pay the bills. According to the Washington Post, Qatar will pony up $100,000 of sweet cheddar so that our capital's subway system will be open one hour later than normal after the Washington Capitals' playoff game tonight in the Stanley Cup Eastern Conference Finals. D.C. Council member Jack Evans, also chair of the Metro board, said last week that he had been in discussions with a couple of companies that were considering paying the $100,000 fee to keep Metro open an additional hour, and Exelon and Pepco stepped up for Tuesday night. 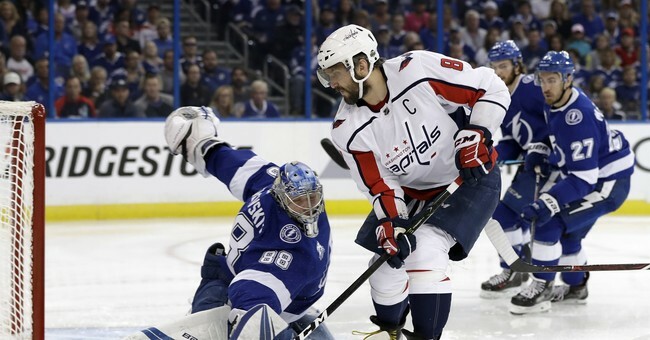 On Tuesday, Evans told The Washington Post that the tiny, wealthy nation of Qatar has agreed to pay the $100,000 fee to keep Metro open until 12:30 a.m. on Thursday, when the Capitals host Game 4. That game also is set for an 8 p.m. start. Evans led a delegation of D.C. government officials and private business representatives to Qatar and the United Arab Emirates last April in hopes of getting foreign investors interested D.C. projects. The government of Qatar previously invested heavily in the development of D.C.’s City Center. But, over the past year Qatar has actually paid for multiple projects in DC in hopes of winning back favor with the Trump White House after Qatari leaders allegedly made disparaging remarks and praised Iran. That led to their fellow Gulf States boycotting Qatar. Qatar has hired seven American lobbying firms and spent nearly $5 million on U.S. lobbying and media campaigns in an effort to fight its isolation by Saudi Arabia, the United Arab Emirates, Bahrain, Egypt, and others in June. The Saudi-led coalition began its economic and diplomatic boycott of Qatar on June 5 after the country’s Emir, Sheikh Tamim bin Hamad Al Thani, allegedly praised Iran, criticized President Trump and threatened to withdraw Qatari ambassadors from several Arab states. If you are in the DC area, here is a helpful chart to know the extended hours for the metro.